If your child is struggling with reading, you may want to think about ways he or she can get extra help. The following article directs you to resources offering free reading advice, tips and activities to help children become successful readers. 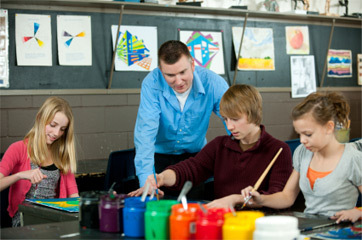 Some schools run after-school programs managed by professional educators to provide help with all aspects of student learning, including reading. Ask your child's teacher or contact the school to find out about what resources your school offers. In addition, some corporations, public libraries and community organizations have partnered with local colleges to create mentorship programs that are free of charge. Your child may benefit from the help of a college student majoring in education or specializing in reading instruction. Mentors and kids may meet in a youth center or other community site once a week. You can help your child learn how to read by using the ideas suggested in the free reading pamphlet provided by the U.S. Department of Education, called the Compact for Reading Guide. Each grade level guide lists hundreds of at-home activities you can do with your child. In addition, the activities are related to specific reading skills, such as fluency, comprehension and vocabulary. For instance, you'll find worksheets on breaking words into syllables and using a dictionary. Most of the activities have a brief explanation of the skill and can be completed quickly by your child. PBS Parents offers a wealth of information to help children with reading skills. You can select your child's age from the Child Development Tracker to see what reading skills are normal. You can also get a list of age-appropriate activities and books for your child. For additional help, you can find links to PBS TV shows, where you can find activities and worksheets to download. Scholastic Parents also offers advice for helping students with reading. Many articles suggest specific activities that reinforce the information provided. For instance, one article describes how you can reinforce literacy skills by reading aloud or by taking older children to the library and book store.